Aw..... I still swoon over the royal couple - and their royal wedding - so today I am wishing a happy anniversary to Prince William & Princess Kate! I remember their wedding day perfectly ... I woke up at 4:30am with my 2 month old daughter and watched the coverage all day. **Confession: it may or may not still be on my DVR! ;) I almost died when I saw Kate step out of that limo - her dress, her make-up, her jewelry - everything was perfection. I truly think she is one of the most beautiful women in the world (and even cuter now with a baby bump!) 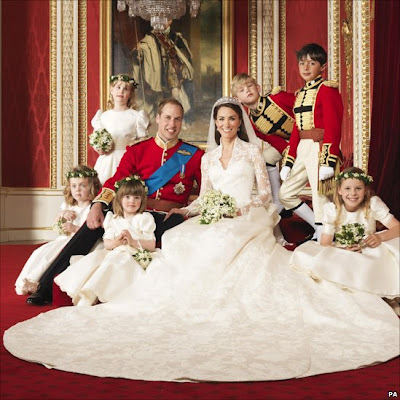 Our 2009 trip to London turned my interest in the royal family into a slight obsession - I just am so intrigued by their lifestyle as it's not only something we do not have in America, but something I will never, ever, ever be able to understand. So I will continue to read my special wedding edition magazines, books & watch my DVRed coverage until DirecTV takes it away from me, which is hopefully never! 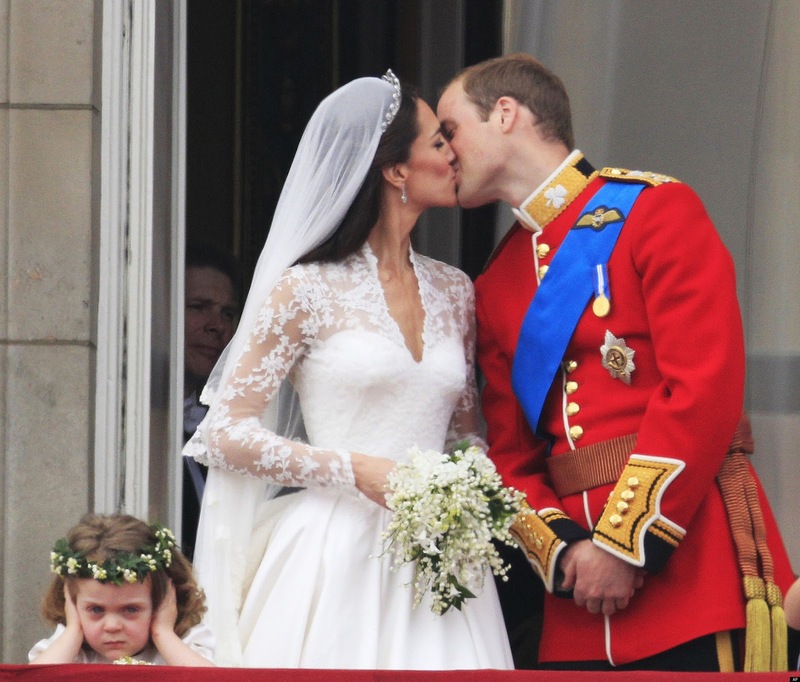 :) What's your favorite wedding of all time? ?